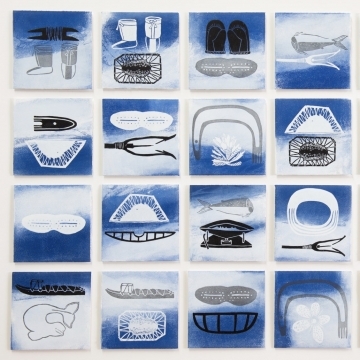 A printmaking project which took place in Ivujivik, Nunavik (Arctic Quebec). Three artists from Nunavik - Qumaq Iyaituk, Mary Paningajak and Passa Mangiuk - collaborated with Montreal-based artist and printmaker, Lyne Bastien. Superstratum is a survey of the Earth’s surface—a new layer in the making. 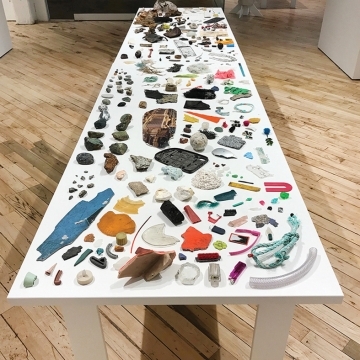 Morgan Wedderspoon brings together found objects and borrowed text to inquire into the relationship between the inconsistent human subject and crisis of global warming. 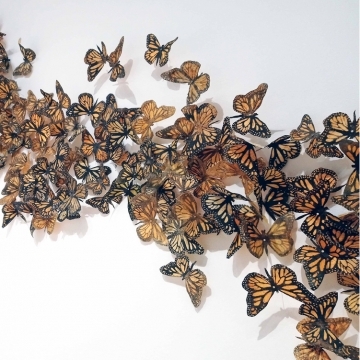 Monarchs, Mexico and Milkweed is Liz Menard’s exploration of connections between an Artist Residency in Oregon’s high desert, a journey to Mexico to see Monarchs in their winter habitat and Milkweed - an important native species.